I like the ritual of football. And with non-league football you get more of it. The sunset behind the stand, the hot drink earned in the clubhouse as you stamp your feet to shake off the cold and the forgotten stadia of forgotten towns you end up at away games. True you don’t get the excitement and the hit of walking into the seating area of a big ground as the stadium opens up before you. But at non-league when you shout and get behind your team you feel like you’re making a difference. There’s also less of the calculation of the higher leagues – and more chance of thrills and spills. Certainly in the early eighties it was preferable to watching Leeds utd – in their post-Revie doldrums (though I had a soft spot for Bradford City). 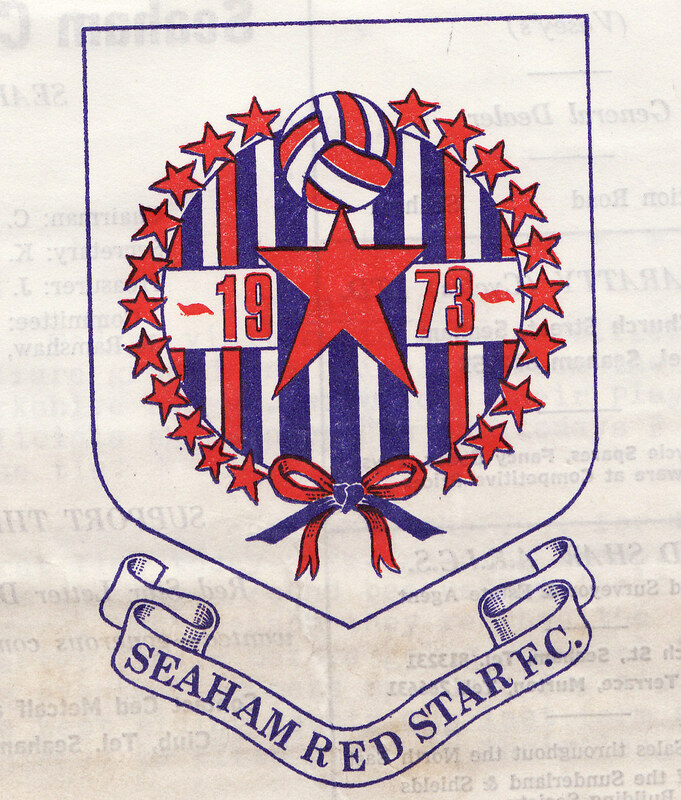 Following Guiseley (currently in the Unibond Premier) away at that time, you found yourself in intriguing and obscure outposts of the North – on the banks of the Humber at North Ferriby, on the grassy ‘terraces’ of Yorkshire Coast teams like Bridlington, at Miners welfare teams like Seaham Red Star (the coldest I’ve ever been in my life – and we lost!) and Hatfield Main, on the top of the Yorkshire moors at Emley, or at the oldest football club in the world – Sheffield FC. And then afterwards in Winter, back on the warmth of the coach with the sports report theme blasting out against the dark and cold outside. Guiseley are perhaps not the most glamerous name in non-league football. ‘Where is Guiseley? And how do you pronounce it’, is probably the first reaction Guiseley gets. Guiseley is just off the A65 road to the Dales, and is close to the rather more famous original Harry Ramsdens fish and chip shop – which now – as a tacky franchise is responsible for damaging the meal’s reputation around the world. Indeed the stand at Guiseley was originally the the grandstand for watching brass bands at Harry Ramsdens before being sold to the club for £50 in 1935. The ground itself is at the edge of the Bradford/Leeds sprawl, on the cusp of the moorland ridge which includes Ilkley Moor. Mills and small factories were close by (including the Silver Cross pram factory). But in those days the Mills were already coming down – one by one – to be replaced by anonymous Barrett homes and drive-in shopping sheds. Silver Cross lasted longer, but that too has now gone. The Guiseley team of the early Eighties were under the management of Mervyn Beck, a senior lecturer of physical education at Leeds Carnegie College who brought a bit more brains and class to the team that the lower league ex-pros who often end up managing at this level. 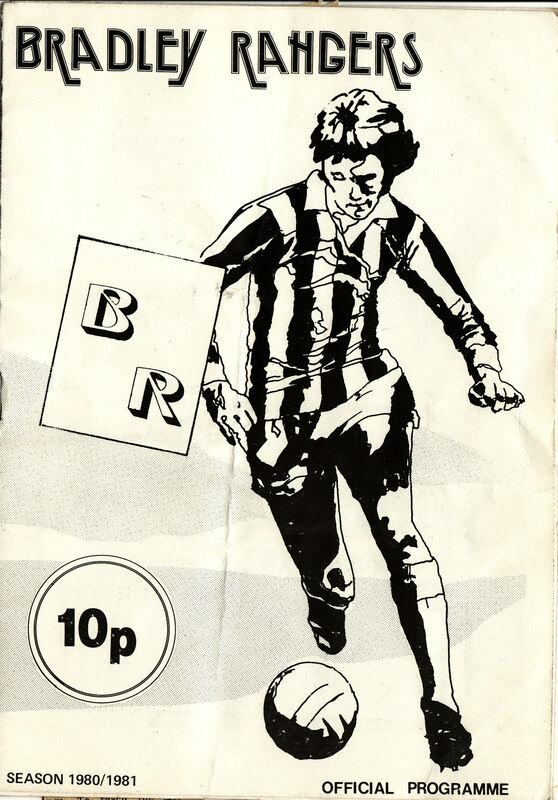 Local favourites included the long-serving and indefatigable captain Phil Barlow, the hirsuite bucaneering forward Geoff Lawson, unlikely looking curly haired goalscorer Roy Baker and leading striker John Waddicor. In 1979/80 they came second in the Yorkshire League. In 1980/81 fifth and in 1981/2 second. In 1982/83 the Yorkshire League was subsumed within the clunkily entitled Northern Counties East league (which included Derbyshire and deepest Lincolnshire) where they finished fifth. In the early Eighties Guiseley were generally on the up. Not good enough to get them promotion but good enough to do well in many of the local cup competitions (with the finals at a pre-fire Valley Parade) as well as reach the quarter-final of the FA Vase. The various FA cup competitions (Cup, Trophy, Vase) may be devalued currency these days. 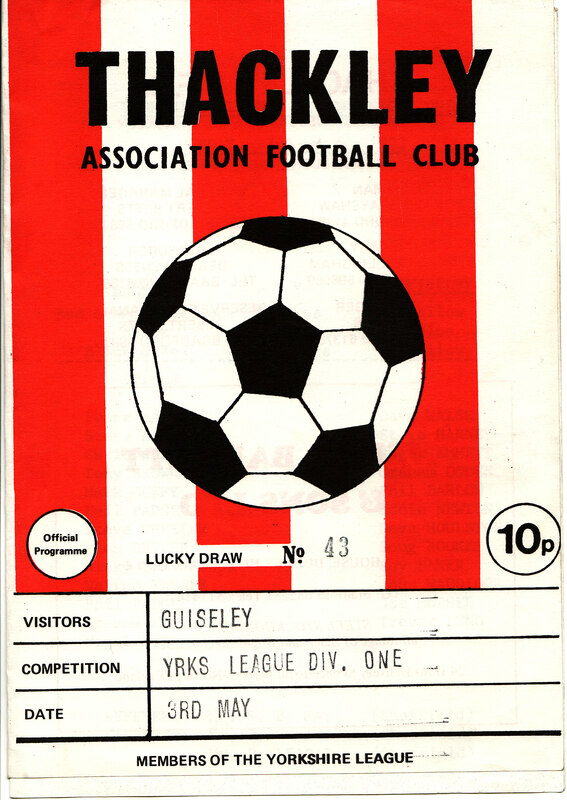 But then, with not much live football on the telly, and FA cup competitions (in which Guiseley could play in both FA Cup and Vase) were the glamour fixtures. 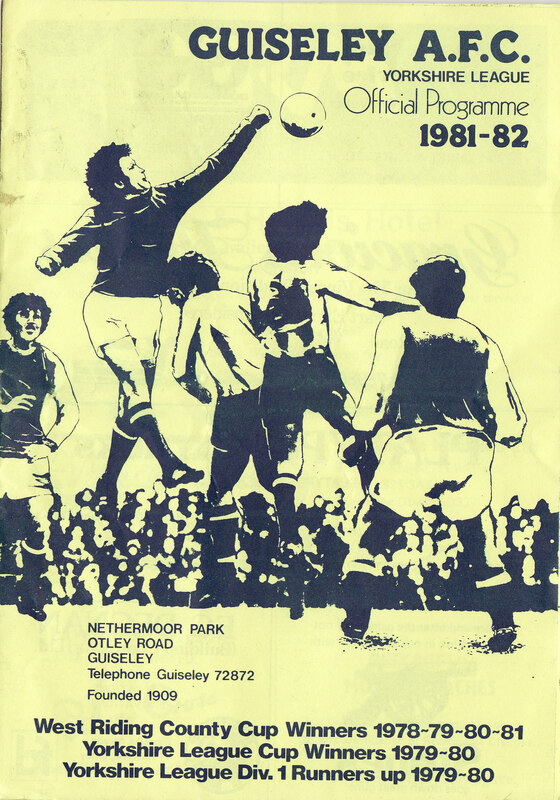 The impossible dream of Wembley was forever just beyond the horizon – though with the Vase, Guiseley came mighty close in 1981. It was a storming cup run – with 24 goals scored in the six games up to the semi-final. First Dalton United of the West Lancashire League were easily dismissed 4-2 at home, with a Bob Lawson hat-trick. A month later and in the first round proper, Smith’s Dock fared even worse as they were overwhelmed 6-0 at Nethermore – this time John Waddicor got the hat-trick. I think i missed the second round away victory at Hartlepool BW (the only game I did miss in this cup run). I was there though for the 13th December, Third Round 4-1 away victory at high flying Leeds Ashley Road. Expectations were now building and on 24th January (the game having been postphoned from the previous Saturday) Guiseley next overcame Norton Woodseats at home 4-1. The quarter finals saw another home draw – this time against fellow Yorkshire League side Hallam. With the team on a roll, 1,250 people turned up to see a cracking cup tie – in which Guiseley’s extra class and guile earned them a 2-0 victory. Now we were two games from Wembley – something that most non-league teams will never achieve in their entire history. Just two games away and the regional media were taking an interest. The quarter-final was another home fixture – this time against Willenhall Town. 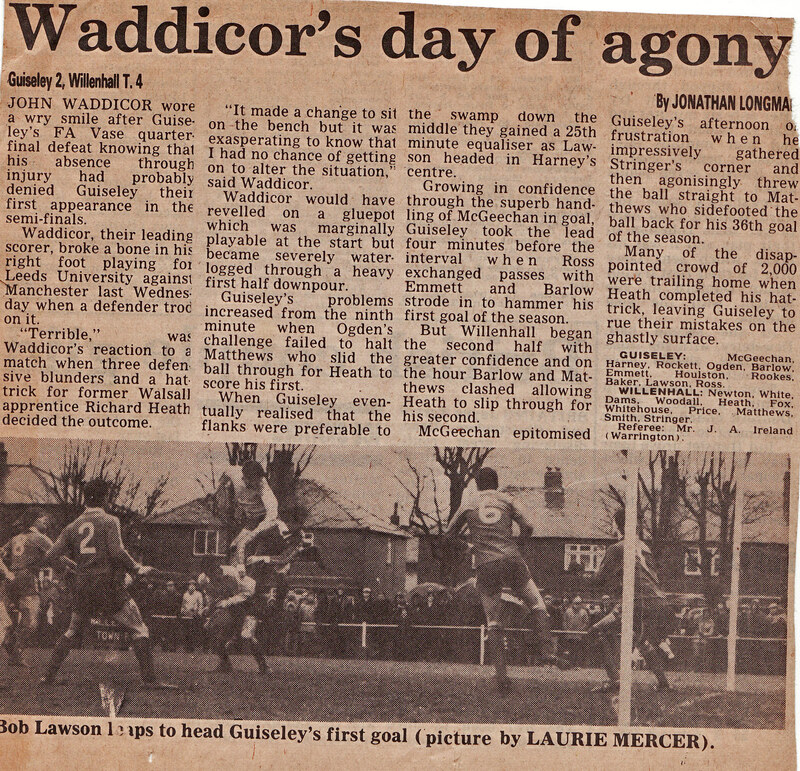 28th February 1981 and over 2,000 people turned up at the ground. The game had been postphoned the previous Saturday and the gluepot pitch made worse by a first half downpour. Guiseley were one down after nine minutes but Bob Lawson headed in an equaliser in the 25th minute with captain Philip Barlow putting Guiseley 2-1 up before the interval. However, in the second half things fell apart as Willenhall’s superior skills combined with defensive and goalkeeping errors from Guiseley left Willenhall comfortable 4-2 winners. The writer is incorrect with his facts as the Willenhall tie was indeed a quarter final tie.Guiseley’s first appearance in an FA Vase semi-final was in 1990 against Bridlington Town and they susequently reached the semis again in 1991 & 1992. Of particular interest are your identity and whether you might be happy to submit it (copyright permitting) or other reminiscences to a book that Peter Stedmond is compiling to celebrate the club’s centenary (and given a bit of luck, promotion to the Blue Square North). More details are supplied by the website link, or if you’d rather, reply directly to me. Kevin – thanks for the kind words – have told Peter that he’s very welcome to use as he sees fit. Will also check out your forum. And it’s all a spur to get on with Part Two! Of course, I meant Peter Smith. Time for my nap, I think. Mervyn Beck was our football coach and senior lecturer at Leeds Carnegie when I was fortunate enough to be coached by him. I’ve yet to meet anyone (and I mean, anyone) who knows more about football. What a fantastic man too. I will always hold him in the highest regard.